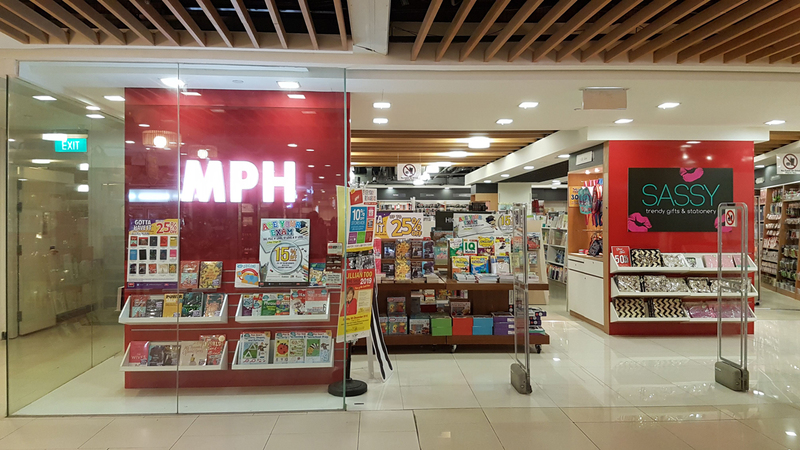 Brick-and-mortar bookshops in Singapore (as elsewhere) face high rent and stiff competition from online sellers, so they’ve been dropping like flies. The major chains and a handful independents are still scraping by. Last updated 9 Sep 2018. Books Actually is a literary hub located in Tiong Bahru. Littered with Books is a general bookshop at Duxton Hill. GOHD sells cheap used books as well as rare ones in Burlington Square. 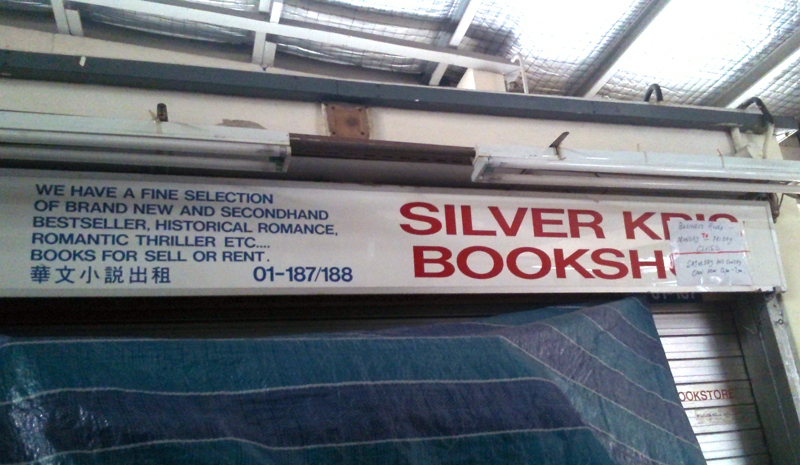 Silver Kris Bookshop sells used books in a stall at the wet market at Marine Parade. 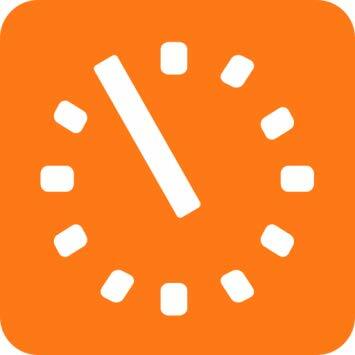 Hours are Saturday and Sunday 12 to 7, according to the paper sign. Marine Parade market is closed for renovation. Sultana Book Store sells used books at Peace Centre. Book Treasure sells books at Parklane Shopping Mall. EMF Bookstore sells used books in Fusionopolis and Holland Village. First Draft Bookstore sells books at Marina Bay Link Mall. 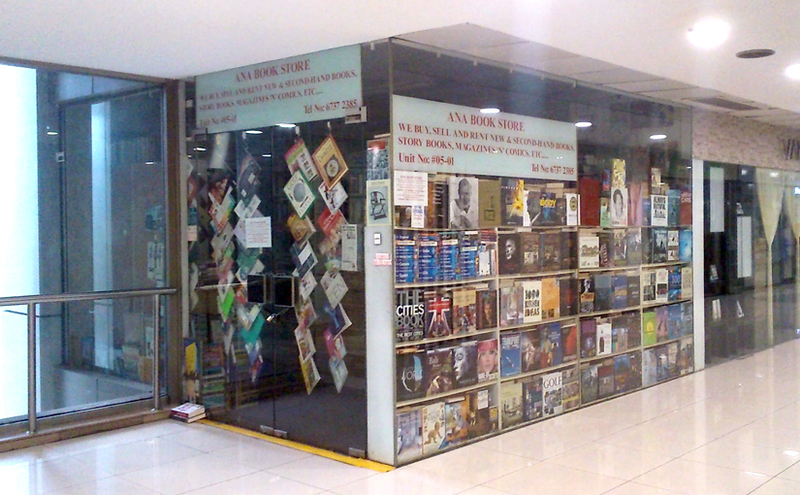 Ana Book Store sells used books in Far East Plaza at Orchard. Tango Mango is a retail shop at Tanglin Shopping Mall at Orchard selling stationery, gifts and some books. Woods in the Books is at Tiong Bahru. 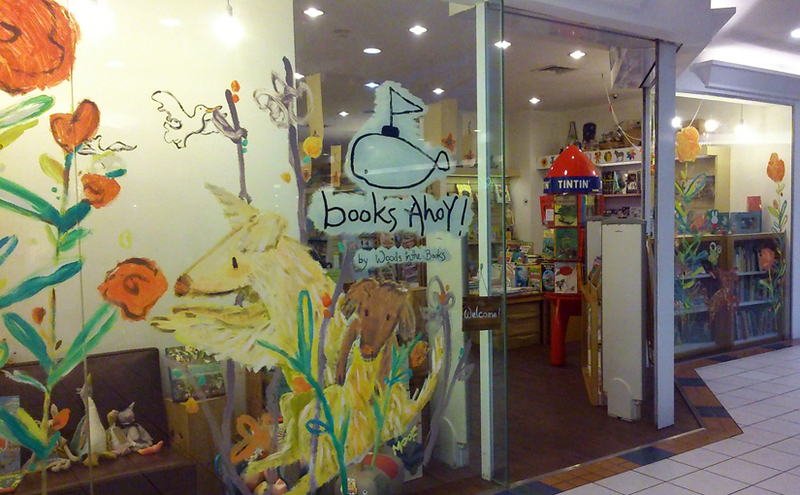 Books Ahoy is their sister store in Forum Shopping Mall at Orchard. Junior Page sells children’s books at Alexandra Retail Centre and online. The Groovy Giraffe sells remaindered children’s books online and offers free shipping for orders over $50. Closetful of Books sells children’s books online. 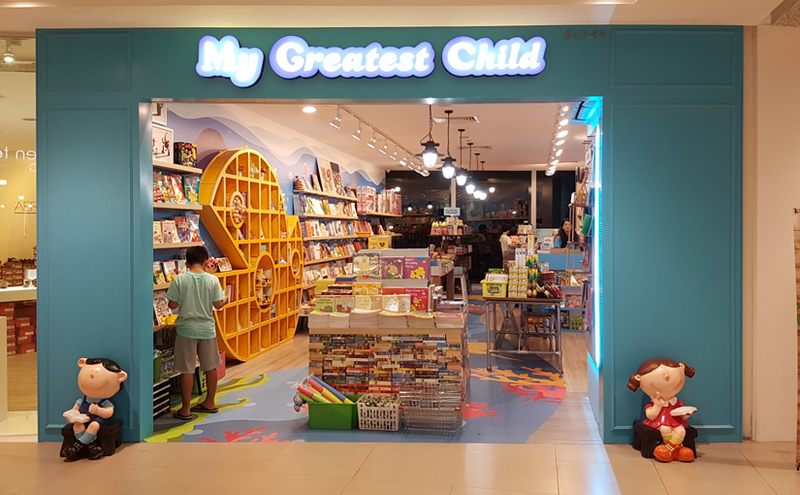 My Greatest Child sells new children’s books at Plaza Singapura, City Square Mall, NEX, Sing Post Centre, from their Woodlands 11 showroom, and online. Kinokuniya is the Japanese bookstore chain that owns the biggest bookshop in Singapore (located in Ngee Ann City at Orchard), as well as a couple of smaller outlets. With a paid membership, you can get some discounts. 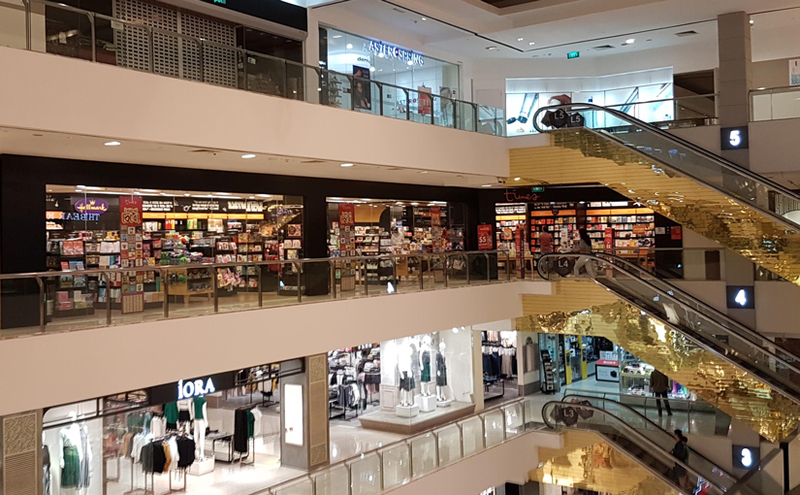 Times has a number of outlets, including a 7,000+ sqft shop at Waterway Point in Punggol. Discount available with paid membership. OO.sg is a comparison shopping site for books. Retail chain Popular also sells online. Retail chain Kinokuniya also sells online. Open Trolley offers paid delivery or free pickup. Select Books is a distributor of books about Asia. LocalBooks.sg is specializes in Singaporean titles. Amazon’s US site offers free shipping to Singapore on orders over US$125 for items eligible for their special “AmazonGlobal Saver” shipping rate. The Amazon Global Saver arrangement was discontinued with the launch of Amazon Prime Now in Singapore in December 2017. With a paid Amazon Prime Now Singapore membership, Singapore residents can now order from Amazon using the Prime Now app and get free international shipping on orders of SGD$60 or more. 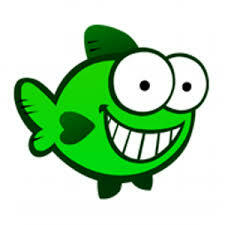 Fishpond is an online retailer founded in New Zealand. Prices are marked in SGD (among other currencies). Shipping is free on every order. 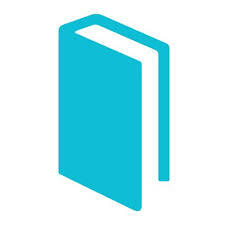 Book Depository is an online book retailer founded in the UK. Prices are marked in SGD (among other currencies). Shipping is free on every order. The Singapore Expo sometimes has warehouse sales organized by Penguin, MPH, and Popular. I’ve bought new and nearly new books for SG$5 to SG$10. Singapore brick-and-mortar retail book chains and traveling booksellers often set up tables in shopping mall hallways. Sometimes the prices are very attractive. I’ve bought nearly new books for prices as low as SG$2. I don’t know of a way to figure out where the sales are going to be before they arrive. When I worked in the MacPherson area, I used to follow signs to warehouse sales in buildings near my office. There are some free platforms that help individuals sell stuff to each other. Some of that stuff is books. … and shops that for whatever reason I don’t happen to know about.